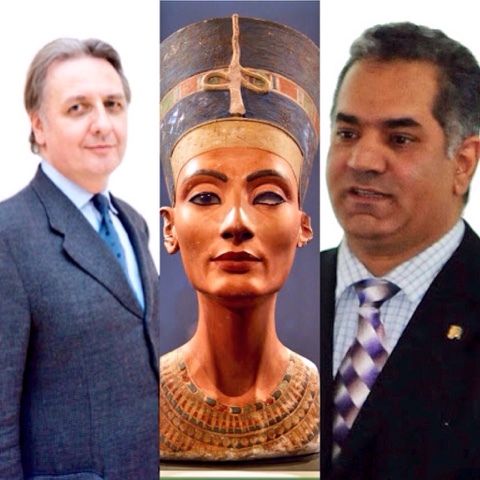 Dr. Mamdouh El Damaty, minister of antiquities, told Luxor Times that the permanent committee approved in its meeting yesterday the proposal from Dr. Nicholas Reeves to use radars in King Tutankhamon tomb (KV62) in the valley of the kings in order to determine if there is any hidden rooms behind the northern and western wall of the golden king's tomb. The minister emphasised that this step was taken after making sure that the radars and equipment that will be used will not affect the tomb, its walls or painted scenes in anyway. The elementary work will start as soon as all permissions granted. Dr. El Damaty also said "This could be a big step in the discovery of the century if Dr. Reeves studies and theory is proven to be correct."